MOON HALO ! And indeed Sun Halo, in fact any halo around either is certainly not normal. I am 46 and have been looking at the sky most of my life, being a science buff and amateur astronomer when I was younger. Never, ever before, until the last few years, have I seen any halo around anything, especially not one that size. It is claimed they are normal and have always existed. Ice crystals at high altitude – except that our skies are not supposed to be, and never have been full of ice crystals. It is also claimed by some other dubious sources that they are quite rare, which is why we don’t see them all the time, and certainly most people have never seen one before, hence the apparent excitement. You don’t need to be a scientist to realise the contradictions here. It’s called lying. The following article is, therefore, nothing less than media subterfuge. It is inconceivable a paper such as the Daily Mail, known for its solid fact checking and gutsy reporting could report something so ludicrous without knowing it to be fake. It would be interesting to know who approved this story and why, and what evidence they base this 22 degree nonsense theory on. You can read the full article on the Daily Mail online here. Please read the comments at the base of the page. It shows very clearly that even middle England, in all its glorious narrow mindedness, is waking up to the bitter reality that we are being lied to, even by our mainstream media, and that climate engineering is now widely accepted as a reality. A sciency-looking diagram that proves it must be true. 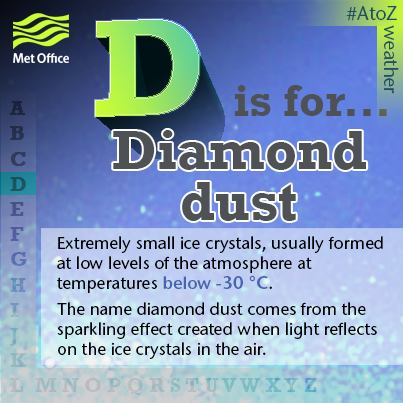 One thing we would like to know is that when did our skies become so full of ice crystals? 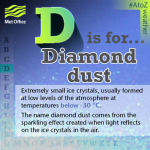 Clouds are made of water vapour condensed around nuclei, normally dust, salt or other tiny particles. 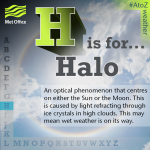 It seems The MET Office and other complicit sources have reverted to ice crystals as the go to pseudo-scientific explanation for every new, unusual atmospheric phenomena, all of which are, of course, caused by climate engineering. 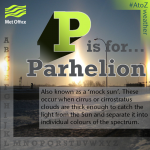 Just 3 of the new phenomena The MET Office have literally invented in the last year or so to try to explain away all the strange new things we see in our skies. The real explanation for this is refraction of light through a thin layer of tiny fibres. These fibres, as we now know, as sprayed from planes during daylight hours, causing our skies to become full of ‘haze’, and if enough moisture is present, induced ‘clouds’. They often persist well into the night. Most of these ‘clouds’ are quite low, at between 18-25,000ft, which is where they are sprayed by commercial flights during the day. Those fibres form what we have termed induced cumulus. It looks a bit like normal cumulus, but generally will be very undefined and hazy, and form in vast swathes of small formations, rather than huge, defined fluffy clouds as natural cloud do. Sometimes this haze can simply persist in vast layers of thin haze in the lower atmosphere, causing a thin blanket of haze, and the resulting halos around any light source. On occasions this can even be seen at ground level around street lights and other bright sources of light. 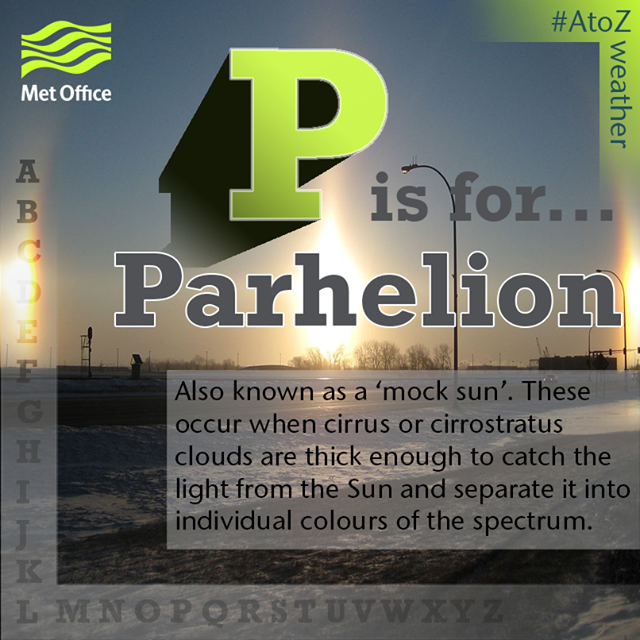 The same effect can be see during the day when looking at induced cumulus through polarised sunglasses. The image below was taken during daylight but through a polarised fileter to show the diffraction effect. Natural cloud does not refract light like a prism. If they did we would have known about it for the last 5000 years as cultures all over the globe would have reported it, but they haven’t. It would also be well documented in Encyclopedias etc, but no such records exist. Despite this our complicit media seem to think they can hoodwink us with absurd and almost childishly nonsensical explanations in the hope we will simply accept it and carry on as if nothing were wrong. It is truly bewildering how a national newspaper can publish this nonsense and get away with it. It is refreshing to see the forum light up with angry comments, but why are people not doing more and phoning in a protesting at this outright subterfuge. Here is another article describing a similar effect of climate engineering. The article calls it a fire rainbow. 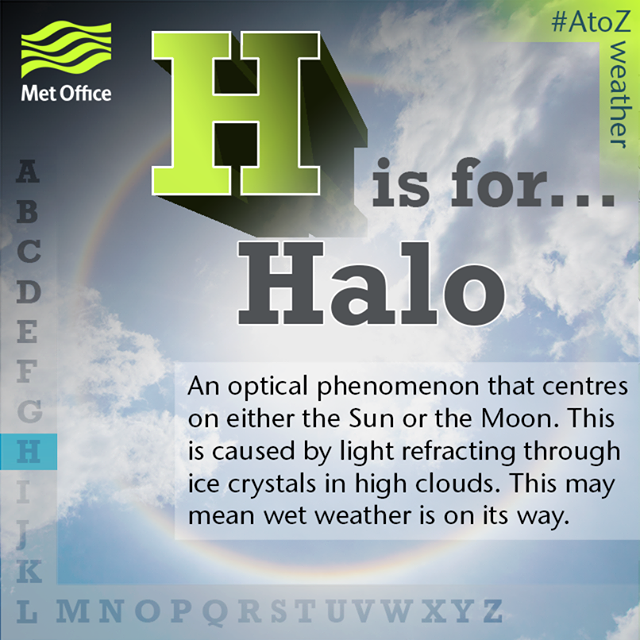 Once again it is claimed that the phenomena is completely normal, caused by ice crystals, but actually very rare. On the contrary we can see this type of effect very regularly in our skies, so how is that rare, and how is that normal. Cloud are not mad of ice, and have never made rainbows. These types of explanatory articles seem to be appearing more and more often in our press, simultaneously claiming these phenomena to be both normal, and yet rare, but to most people they are absolutely not normal and definitely new. The moon should not have a huge halo around it and neither should the sun. If it does, it means the sky is full of stuff; unnatural stuff. This website exists to tell you what that stuff really is. You can, of course chose to ignore it, but do so at your peril. Planes are not supposed to make clouds and natural clouds are not supposed to form rainbows or halos.